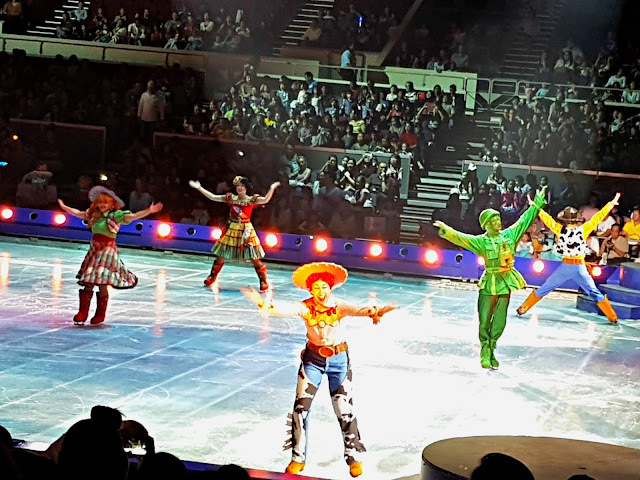 We went for The Wonderful World of Disney On Ice 2017 and even though it was not up to my expectation I still love every bit of it! 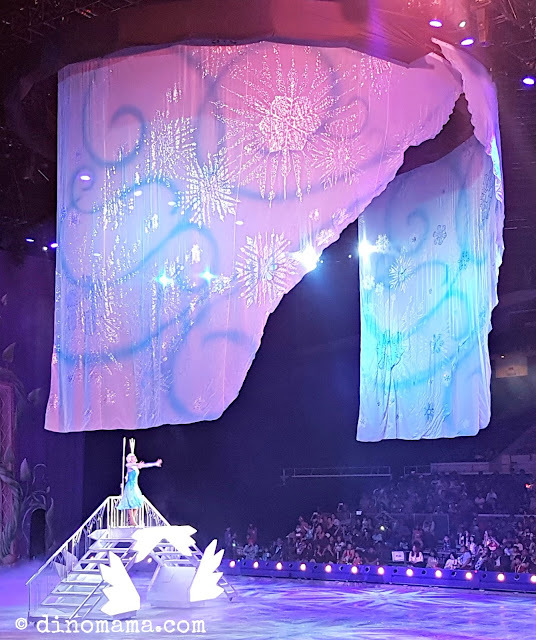 This year's The Wonderful World of Disney On Ice brought us down memory lane in colorful celebration of magic, spirit and family fun. Besides The Little Mermaid, Tangled and Frozen from last year, there were new acts included too. Here's sharing what we love about this year's performance. PS : In my excitement, I have accidentally switched the microphone off thus some of the videos in this post has NO SOUND! Bummer I know! 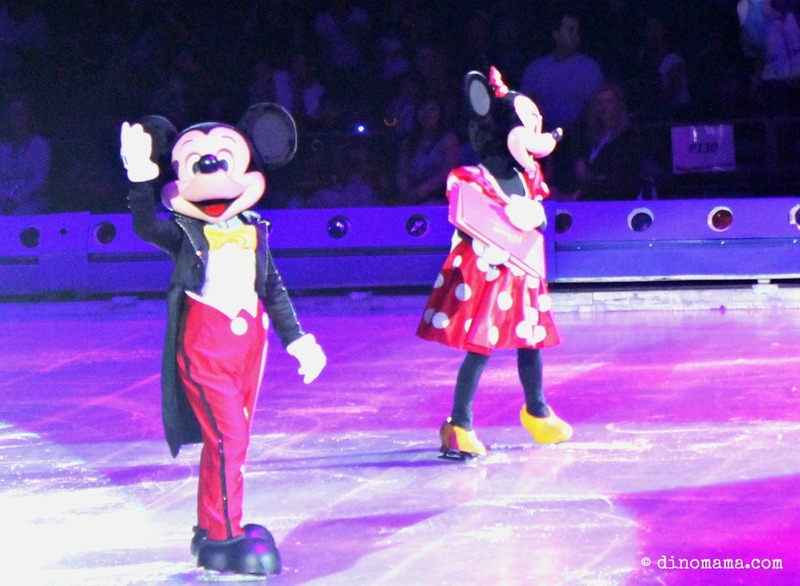 I caught myself screaming when Mickey & Minnie came onto stage! They are so adorable, don't you agree? Like all previous shows, they are the main narrator for the show and this year they brought along with them a book that has ALL the Disney stories in it. As they flipped the pages, they gave clues on the story that they were going to show, and the clever audiences got all the answer correct! While this couple are loving and sweet, the other 2; Goofy and Donald, brings laughter, fun and comical moments whenever they are on stage. 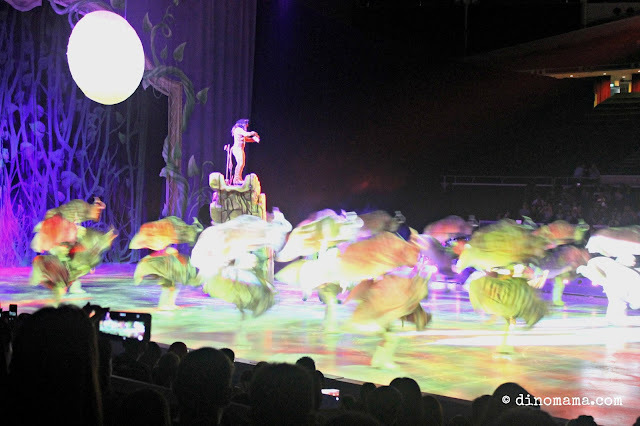 I was fidgeting with my camera and did not managed to capture many good photos of Lion King performance but I thought this photo looks cool, sure looks like a herd of kudu running around the rink eh? Well, no magic carpet ride performance this time but Genie steal the show that night with his wittiness, humorous jokes and his flamboyant personality. Did you know that Disney created Genie with Robin Williams in mind? Well, you see the resemblance between the two. I didn't want to take my eyes off the performance taking photo so I decided to record part of it, this grand entrance by Aladdin after Genie turned him into a Prince with his troupe of guards, slaves and lady in waiting to meet Jasmine. Stay till the end to watch the HUGE Elephant that Aladdin was riding. I wonder how that Elephant managed to skates without falling on fours. I wasn't a great Toy Story fan, in fact I was traumatized by Sid's mutated toys, that is because I didn't like to play with Barbie or any doll when I was young coz I thought they look creepy, Sid just made this creepiness visual to me and I really couldn't take it. Between Nemo and Dory story, I prefer Dory's adventure because it has so much excitement & thrill injected in it, and then there were toughing moments that she found paths of shells at the seabed near Marine Life Institute and got united with her parents. Much as I love the story, I would prefer the production team gave it more performance time and perhaps more props. The fishes looked so lonely and out of place in a big stage with minimum or no props. Kinda difficult to catch the audience's attention for long. This year Frozen is the grand finale again, I think because it was and still is such a hit with the young and old it was given a longer performance time. There were no Sven though which is disappointment, I mean what is Kristoff without Sven? The Frozen performance is mostly the same as last year though shorter version, I enjoyed it very much. I was mesmerized by stage prop for Elsa's castle. The sheer curtain on top gives some magical effects that were better than last years. I am not sure about others but what caught my heart that day was seeing all the Disney Princes and Princesses waltzing out to the stage and dancing! Since I can't afford to fly to Disneyland to see them, it's like a dream come true for me to see all of them at the same time! The Wonderful World of Disney On Ice performance has ended last weekend but we are already looking forward to next year's show! 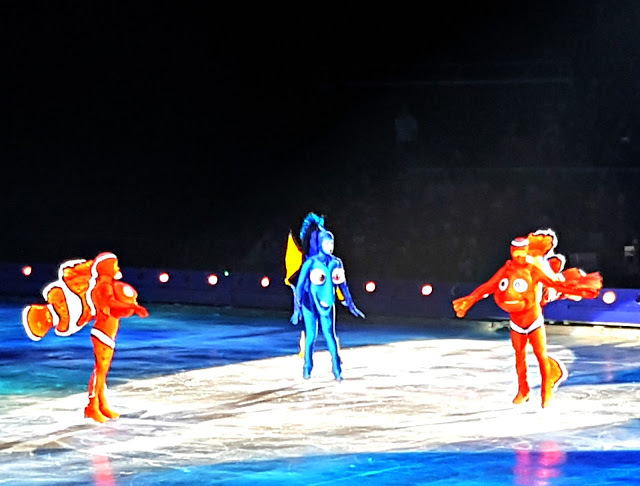 Disclaimer : We received complimentary tickets to watch The Wonderful World of Disney On Ice 2017 in return for this post. All photos & videos in this post unless otherwise staged, belongs to The DinoFamily, you may not take it for personal use without out permission. All opinion in this post are 100% ours based on our experience during the show.